Howdy! 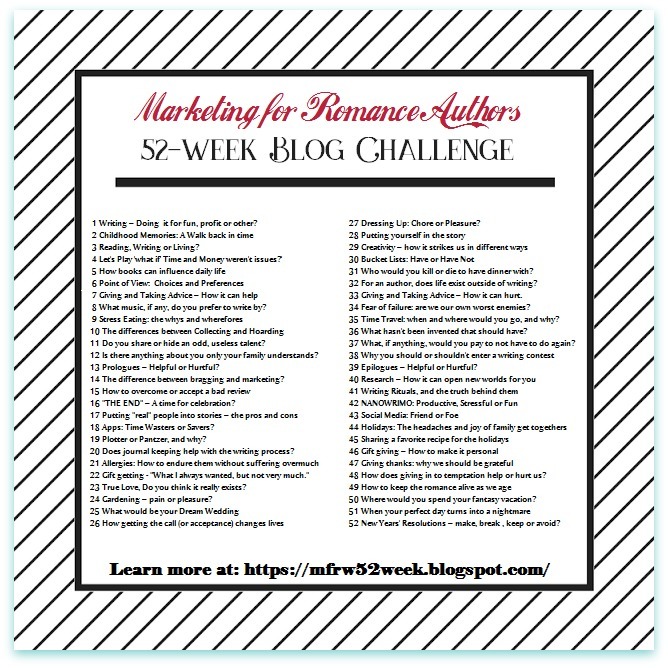 We’re into Week 41 in the Marketing for Romance Writers 52-Week Blog Challenge Blog Hop. Wait. Does this mean as a reader or writer? I’m taking it from my own standpoint as an author and reader. All my books don’t need one. Do you read prologues and epilogues? I read both, so it doesn’t matter to me as a reader. It’s not that I will never write one in another book. It depends on the story. Well, yes, I have used an epilogue in three of my books. The first two were the first two books I wrote centuries ago. After more centuries, when I started writing western romance, Hey, Cowboy, Book #2 in the Bull Rider Series, called for an epilogue at the end. This story needed one to help wrap up a couple things. It wasn’t necessary because the ending at the last chapter ended with a satisfying ending. And a great one. After the final scene at the end of the book, I wanted to have the reader see what happened after the fact and not only with Velia and Caulder. 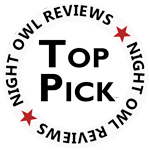 It gave me a chance to tell readers what happens to a few others in the book as time carried on outside of the book. I did it this way in case Hey, Cowboy turned out to be the last book in that series, which had been my intention. I wanted readers to visualize the future for all of these characters. Another reason this book has an epilogue is because I wanted to show my hero and heroine in a different role in the one and a half page epilogue. I love that I made the choice, and it still makes me “happy cry” when I read it. The same with the end of the last chapter. LOL, yes, I took a moment to read the epilogue while writing this. You don’t have to ask… Yes, I happy cried again. I swear it might be the best ending I ever wrote. Nah, not true. I love all my endings, but I believe Velia and Caulder will always live on in my heart. It’s getting crowded in there now with new characters finding their way too. Isn’t this fun? Remember, this is a Blog Hop and other authors take part in Marketing for Romance Writers Blog Challenge. Do they write epilogues or do they hate them? Will they read or write an epilogue at the end of a book? How about you authors and readers? Tell us. Thanks so much for taking the time to stop by today. Interested in seeing more of my Blog Challenge posts like Open and Closed Doors? My Favorite Indulgence? My Best Gift Ever? And why the heck do Shining Beams Make Me Cry? Type #MFRWauthor or 52 Week into the search box in the sidebar for more. Oh… Not sure how I missed this post, Mary. Sorry to be late. I enjoyed your thoughts. As a reader I like epilogues. As a writer I find them very handy. You know I’m a cliffhanger maven, so sometimes I need that epilogue to be a mattress at the bottom of the cliff. Although I don’t always use one. Have a wonderful Wednesday! Hugs. Late is never a problem, Teagan–the cliffhanger maven. Better than never! Haha. It’s rare for me to use one, but I have nothing against them when they are right for the story. Thanks for finding your way here. The epilogue can tidy some loose ends, but they’re usually not needed if the author does her job.